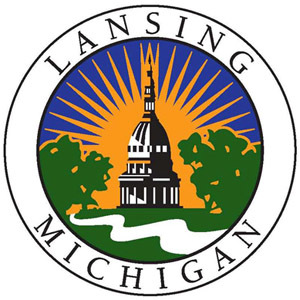 The City of Lansing, Michigan, joined the Global Network of Age-friendly Cities and Communities in 2015. The City hosts an annual Senior Activities Fair with educational and interactive activities and information covering senior living and health. The Parks & Recreation Department offers a number of programs for adults, with many geared specifically to seniors, including Walking for the Health of It, Chair Yoga, Older and Wiser Workout and more. Other non-recreational activities offered by the department include free legal advice for seniors, and a digital literacy program. Through its Human Relations and Community Services Department, the City provides a number of services and resources to meet the needs of its citizens. Programs targeted directly to seniors include basic needs assistance. The City’s Complete Streets ordinance, though not targeted specifically toward seniors, will benefit seniors as it seeks to make the public right of way in the city more accommodating for all modes and people of all ages and abilities. Lansing will use its existing community connections to engage with and involve older people in the process of becoming a more age-friendly city, including its community centers and neighborhood groups as well as reaching out directly to older people through residential centers, faith communities and other groups and venues identified in partnership with AARP. The City has a robust planning and engagement approach in place to facilitate collaborative planning and implementation between different departments of the local administration and across sectors. It was implemented for recent plan updates including the Parks & Recreation Master Plan, Comprehensive Master Plan and Non-Motorized Plan. The city will use this approach and supplement it as necessary to extend its reach to potentially under-served populations and ensure coordination with agencies that may be more focused on senior issues.